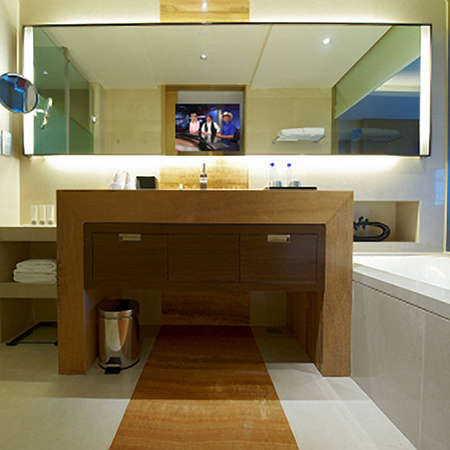 Redefine any space with the addition of a beautifully crafted Accent Art and Mirror LED mirror tv. 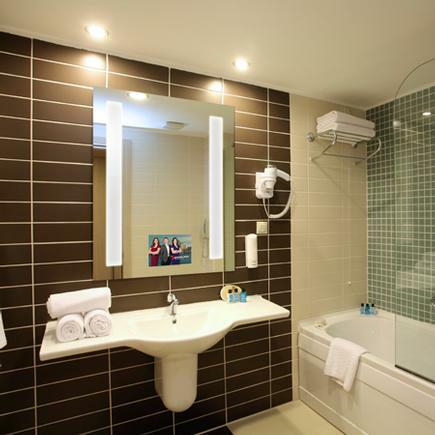 Attractive as it is functional, an LED mirror tv will create a lasting impression in any bathroom, public space or living area. 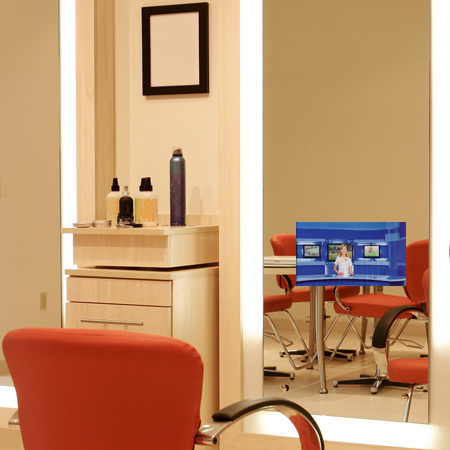 Manufactured using the latest ultra thin LED HDTV Technology, a Accent Art and Mirror LED tv mirror appears to be a regular standard mirror until activated using a regular hand held remote. When powered on, the tv appears through the mirror, when turned off, only the beautiful mirror reflection remains. Some models are available in LCD HDTV. Accent Art and Mirror brings unsurpassed mirror quality to our customers with our Eclipse fully vanishing mirror product. Developed specifically for the mirror tv application, the properties of our Eclipse glass not only enhance the vivid colors of the LED HDTV, but allow for optimal light and picture transmission. Our proprietary reflective coating is the closest match available to a regular silvered mirror. Eclipse glass is truly fully vanishing with no trace of the tv screen visible when turned off. Fully vanishing, our Eclipse mirror shows no trace of the tv screen when turned off. Don't see a standard size that works with your design? Accent Art and Mirror can customize a size that will. Custom sizes available up to 96"x59". Commercial, Hospitality and Quantity Pricing Available.